MagicUp - is an amazing emotional application which gives you an opportunity to transfer your emotions and wishes. This application is built to “liven up” your Magic Cup. A few steps to create your congratulation or to get one. 1) In the authorisation window enter ID of the Cup (printed at the bottom). 3) Write a few wishful words or choose some from the set available to “enrich” drink in MagicCup. 4) Now, the Magic Cup is full of your feelings and wishes and is looking forward to congratulating it’s recipient. Being a recipient of the Magic Cup, download the application MagicUp. 1) Pour your favourite drink into the Magic Cup. 2) In the opened authorisation window, enter ID of the Cup. 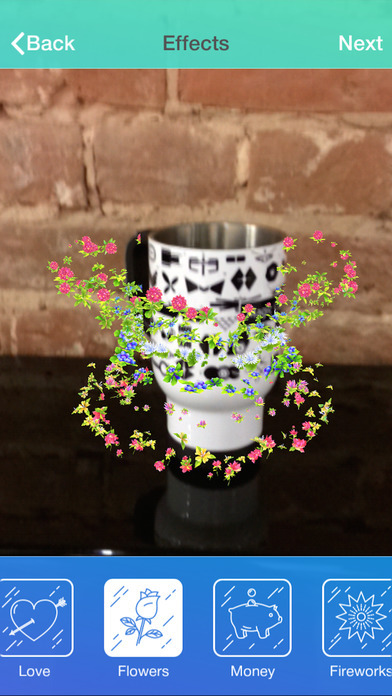 3) Run the app and point your smartphone or tablet’s camera at your Magic Cup. 4) Enrich your drink with the wishes words by clicking and enjoy your personal greeting. 5) Cheers! Your drink is charged with emotions and energy of the man who wants to surprise you. In addition to the opportunity of recording and sending your congratulations, you are able to post your successful pictures/videos to social networks via the MagicUp application. 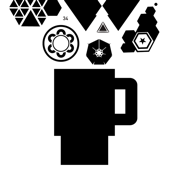 Don’t forget to recharge your Cup with Magic and have a good luck! To enrich the Magic Cup with your personal wishes: Download the app MagicUp. In the authorisation window enter the ID of the Cup (printed at the bottom). Follow the steps from the app interface for creating congratulation to the recipient of the Magic Cup. Being a recipient of the Magic Cup, download the application MagicUp. Pour your favourite drink into the Magic Cup. In the opened authorisation window, enter the unique ID of the Cup. Enjoy the magic.